It isn’t often that I actually sit down with someone to do an interview, but in this case, it just made good sense. 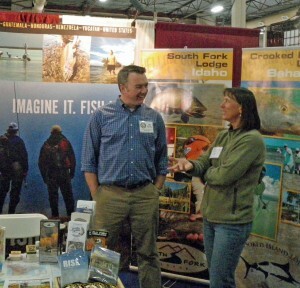 I planned to attend The Fly Fishing Show in Pleasanton this past weekend and Yellow Dog Fly Fishing Adventures was going to be there with co-owner Jim Klug. I had seen that Jim Klug was also on the board of the Turneffe Atoll Trust, which is an organization I’m just learning more about (and I like what I am hearing). Jim took a bit of time on Sunday at the show to sit down with me for this interview. Yellow Dog, as an outfitter, has been around for about 11 years. How did you get started with that? It started, I don’t want to say as an accident, but it wasn’t the game plan at the time. At the time I was working at Scientific Anglers as their National Sales Manager and I was spending an awful lot of time down south in Belize. Pretty much every chance I got and some pretty good chunks of time. Ever time I’d make these trips I’d either bring friends with me or meet people down there who had questions about fishing other places in Belize and it really started taking on a life of its own. I’d have buddies calling me up saying “Hey, I understand you go down quite a bit. Where do you think I should go? What can you recommend? They’d have friends that would call and someone’s dad would call and you’d have a group of four people and we started helping people and directing them throughout Belize. One trip trip I had a good friend down there named Logan Gentry, who had just bought El Pescador at that time. Logan sat me down at one point and he said “I’ve been going through the numbers for the past year and you’ve really sent us a lot of people. 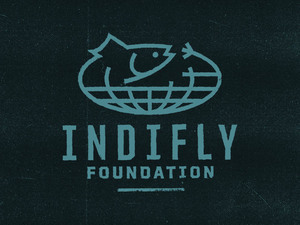 You ought to think about formalizing this thing and starting a booking company.” My thoughts were, immediately, “Hell no… the fly fishing industry needs another booking company like it needs another reel manufacturer… just a horrible idea.” But, the more I started thinking about it and the more I started looking at it, I realized that while there were a lot of people doing it, I didn’t see a lot of people that were doing it to the level that I thought it could be done. There are certainly some good players in the game, no doubt about it, and there were some players that had been in it a long time, but I saw some opportunity and some room for improvement, just as anybody who starts a business arrives at it from that angle. I made the decision that I wanted to go full bore on this thing and I left my job at SA and started Yellow Dog and about two months after I left what was a really phenomenal job working for 3M Corp and making quite a bit of money for the fly fishing industry and hung out the shingle with Yellow Dog, all we did was Belize. The first year we did four destinations all in Belize. Two months after we started this thing the planes hit the buildings and everyone decided not to travel for a year. I was thinking “Well, that might be a really big mistake.” The good thing about it is that during that time it allowed me to really put things together and build the infrastructure over that first year so that when things did ramp back up, we were ready for it and had our act together, so it ended up working out just fine. Since then, we’ve grown Yellow Dog and expanded it. We have a philosophy that we try to stay very true to in that we won’t book something that we don’t know. If we have something in our line-up it is because we’ve been there, it is because someone from Yellow Dog has made those visits and normally we’ll go there on a regular basis. For instance, we don’t book Christmas Island because we don’t know Christmas Island. We don’t want to try and BS people and pretend that we do. So, over the years, as our staff has grown and we’ve built the company, we’ve brought on people that typically come in to manage a particular region. John Hudgens, who you met in there (referring to The Fly Fishing Show in Pleasanton), is our South America Program Manager and he comes from that background. He’s managed lodges in that area and he’s spent 5-6 years guiding down in Chile, so we bring him on to run and direct that program down there and it allows us to grow and expand but still stay true to the philosophies we have about how we do business. You are on the Board for the Turneffe Atoll Trust and it seems like there are some opportunities on the horizon. What are the prospects for Turneffe Atoll right now? I think one of the neat things about Turneffe Atoll is that it is a massive marine ecosystem in a very prime part of the Caribbean that is still untouched, untapped and undeveloped. It is getting harder and harder to find places like that. They are pretty much still off the charts and have been left alone. Frankly, I’m surprised the Four Seasons hasn’t come in and bought up the atoll and made it into their next mega resort. The neatest thing about the opportunities out at Turneffe Atoll is that right now we have a chance to address this in the near future and moving things forward to be in the preservations realm instead of 10 years from now being in the restoration and recovery realm. So we can spend the time and the energy now to protect it, or we can wait until everything has been abused, over-developed, over-built and then try and figure out a way to restore it to what it was. We are still very much out in front on this thing, but the clock is ticking, as it is for a lot of places in the Caribbean. Turneffe is incredibly important for being one of the largest nurseries in the Caribbean for bonefish and permit and possibly tarpon, but certainly bonefish and permit. 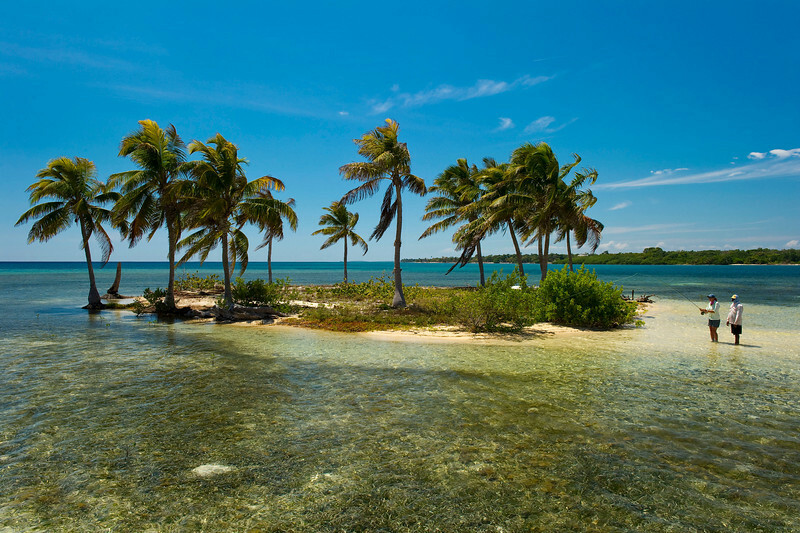 It is such a crucial area that has such an impact from the Keys to probably the Bahamas and certainly the rest of the Central American coastline down there. It is an important place and once that needs to be protected now as opposed to recovered in 10 or 20 years. So many times in our fishing lives there are people we come into contact with who are particularly influential to advancing our proficiency or understanding. Is there someone like that in your bonefishing life? I was really fortunate in that back when I first discovered saltwater fishing, it was about 20 years ago, down on Andros Island and we were young and we were broke and we were basically tying all winter and guiding all summer and saving up all of our tip money so we could go down there and basically dirtbag it on Andros for four week stints. We had a buddy who lived down there and worked at the AUTEC base, he’s still there, actually, almost 20 years later. He’d find us a little rental house down there and we’d go to the AUTEC base and he’d get us passes to get on the base and we’d go to the chow hall and eat meals for like a buck and we’d go to the beach house and have $.50 beers, it was just perfect for the dirtbag lifestyle. 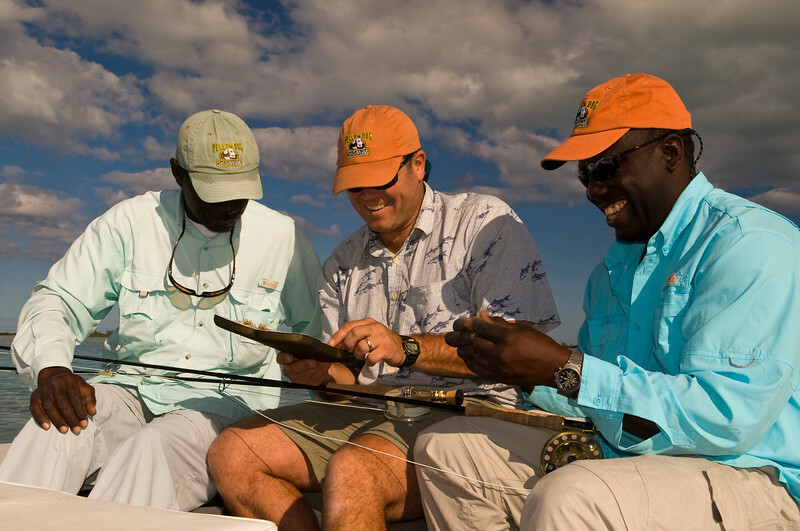 We were really fortunate in that Andy Smith and Charlie Neymour, who are two of the really well established guides down in Andros we weren’t just fishing with these guys but they were also young and just getting going and we became great friends. Over the years, that relationship has continued and it is kind of fun that we’ve all remained in the business and kind of grown up together in the business and to see them at the top of their game and really at the forefront with Prescott and the issues he’s dealing with down in the Bahamas. Ian Davis, my business partner, was there in those early Andros days and now he’s co-owner of Yellow Dog. To see everyone still working together and being successful is pretty neat. I’d say definitely Andy Smith, Charlie Neymour, Prescott Smith, that Andros contingent of guides had a real influence in my formative saltwater years. When you spend time on the water you see things that other folks just don’t see. Is there something that you’ve seen out there on the flats that is particularly odd or fascinating? There’s a phenomenon that happens sometimes down in the Bahamas where you’ll get hundreds, sometimes thousands of bonefish up on the surface, feeding on, as I understand it, it is jellyfish larva. The guides down there call it “bibbling.” It can be a massive area, the size of half a football field, and you just quietly pole right through them. That’s a pretty phenomenal sight. “Connect” is coming out, the follow-on to the great fly fishing films “Rise” and “Drift.” Are there any bonefish in there? Yeah, we have a pretty fantastic segment we are going to have in there that we’ll be filming in May in Cuba. We are going down for about 20 days and fishing with the Avalon Crew. Going to be a phenomenal bonefish segment and something we really get excited about filming, one because it’s a pretty easy place to go and fish and secondly because it is just so beautiful down there. It should be a great segment and we are excited about the whole movie. The premier is October 7th and the release is November 4th. In the past, we made the movie available to all kinds of nonprofits for them to do screenings, but we also had the dvd out at that time. This year we are creating a one month period where the only way to see the movie is to go to one of these conservation screenings. We are making the film available to any groups that are legitimate and want to do this. What’s your favorite rod and reel at the moment? I’ve grown up as a Scott guy. I’m pretty enamored with the S4S. I think that’s a phenomenal saltwater rod, although I’m still a disciple of the HP’s, the 888 3. I think that is just the sweetest bonefish rod ever made. I love it. The don’t even really make it anymore. Sometimes they’ll re-release the classics. I’ve got a quiver of them and I love them. For the reel… I’d say Hatch. I’ve been fishing Hatch since the company evolved and we are good friends with the owners. Love their products in the saltwater and love their drag. 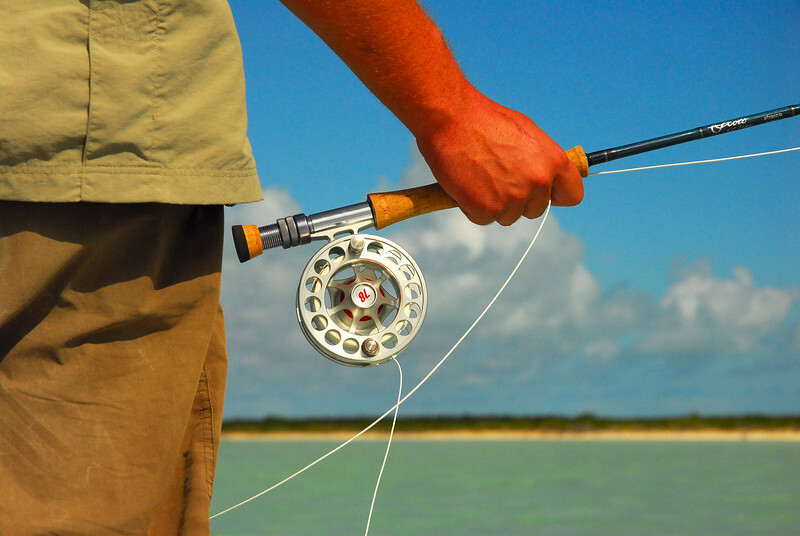 Is there one bonefish in your memory that stands out? I remember some of my early fish when I was down in Andros and I was just getting into it. You’d just get so excited when you’d be able to get that cast out there and they’d eat just like they were supposed to. Everything would just fall into place. It was probably some of the most enjoyable fishing I’ve ever done, some of those early saltwater trips. You just couldn’t believe how hard these fish fought and how often you got in your backing, and ya know, growing up as a trout fisherman, it was just a whole new world. It redefined everything for me. One particular fish, fishing with Andy Smith in the North Bight we tracked and poled for it must have been a half hour as this fish worked down a flat and Andy just followed it, working it and working it until I got the shot and we got the fish. It was probably about a 7 pound fish, but still one of my favorite bonefish of all time. With brilliant, wide-open beaches on its northern side, magnificent reefs and flats that surround the island on all sides, and a total population of less than 10,000 people (almost all of whom speak English), Guanaja in many ways is what the rest of the Caribbean must have been like before being discovered by mega-resorts, cruise ships, and aging snowbirds dressed in madras shorts. via Honduras Bonefishing | Yellowdog Fly Fishing Trips.